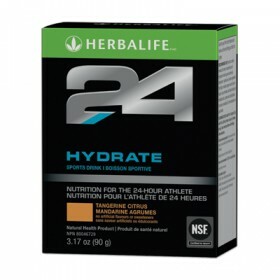 Herbalife24 Rebuild Strength is a sustained muscle building sports drink. 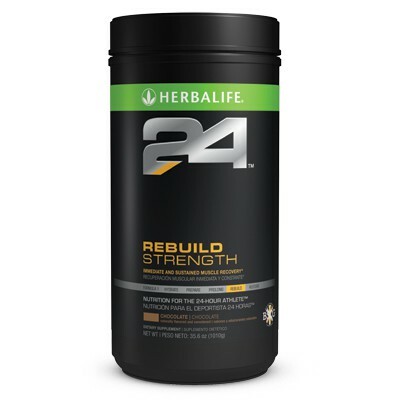 Herbalife24 Rebuild Strength is a sustained muscle building shake that delivers a tri-core protein-amino blend of free amino acids, whey and casein proteins, along with vitamins and minerals. Helps with connective tissue formation. Milk protein supports lean muscle mass. Provides antioxidants for the maintenance of good health and helps with the development and maintenance of bones and cartilage. Helps in the formation and proper function of red blood cells and provides support for a healthy glucose metabolism. Mix 2 scoops (50.5g) with 8 fl oz of water or liquid of your choice. Consume one shake per day within 30 minutes following physical activity.